The majority of digital transformations fail (up to 84% according to Forbes) and more often than not, the issues are related to people – often hinging on a failure to communicate a vision or empower individuals to transform your organisation from the inside. 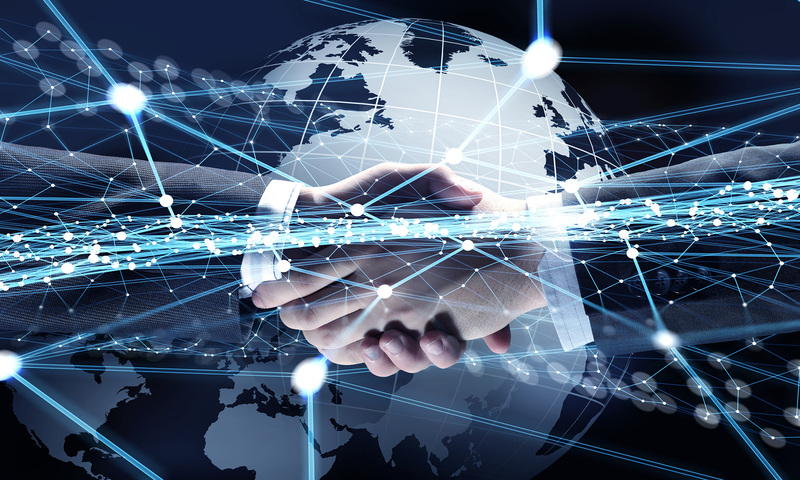 Transforming your business to meet the needs of the digital world should start at the very core of your organisation, encompassing values, business processes and your way of thinking. 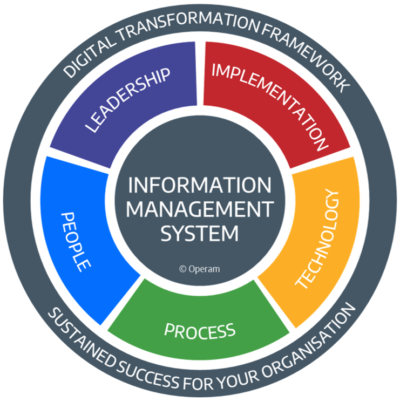 Operam’s digital transformation framework combines our knowledge and experience into a repeatable approach that will enable your organisation to achieve sustained success. It focusses on five capability categories: Leadership, People, Process, Technology and Implementation; which collectively enables your organisation to successfully make your unified approach business as usual. In a world where change has become the norm, delivering it in a smart and sustainable way is more important than ever. We know how to help you get to where you are going. There are an increasing number of organisations who are offering organisational accreditation against industry standards. Whilst this should not been seen as an objective, they can be a good method of providing assurance to external stakeholders that an organisations business processes for the management and collaborative production of information are aligned with industry standards and best practice. Regardless of if you choose to engage with one of these organisations, or which organisation you choose to engage with, we will provide you with the right advice and guidance to pass any audit with flying colours. Accreditation against industry standards, whilst not the objective, is often a great way to demonstrate to the stakeholders that your organization aligned with industry standards and best practice. 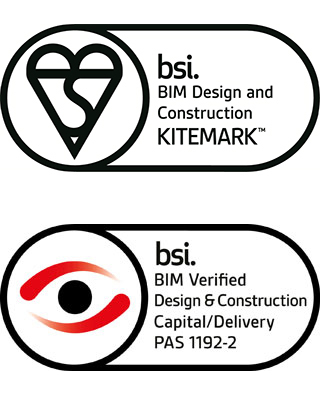 The British Standards Institute (BSI) currently offer a number of ‘BIM’ related verification certification and kitemark programmes to range of different organisations. 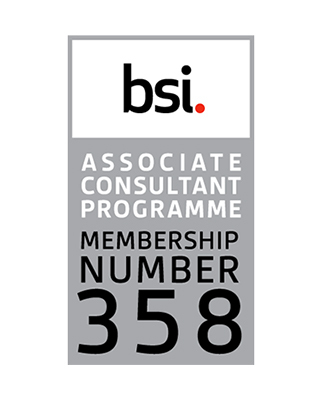 Operam are members of the BSI’s Associate Consultant Programme (ACP), which means we have been recognised by the BSI as an independent consultant who have extensive experience of working with certified management systems, including the 1192 series of standards, and can give you the expert advice you need. As an ACP member, we can help you put industry best practice into place within your business and support you throughout implementation as you work towards certification – sharing our knowledge of regulatory requirements and showing you how to stay resilient and responsive.